Your impression kit comes with everything you need to get started. Your Aligners are shipped to your home. Kit includes a free retainer and whitening products. 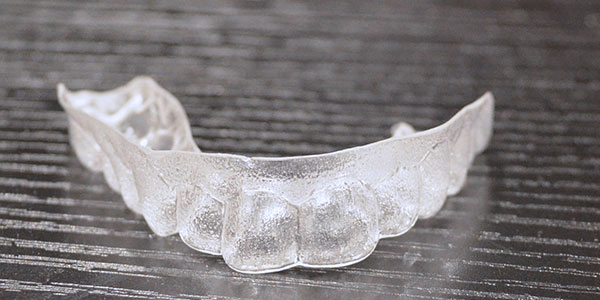 Wear your retainer to help you maintain your new smile. Pay up front for a quick and easy sign up. Make easy monthly payments for you purchase. * This aligner was received by a new SmileDirectClub customer on July 28, 2017. 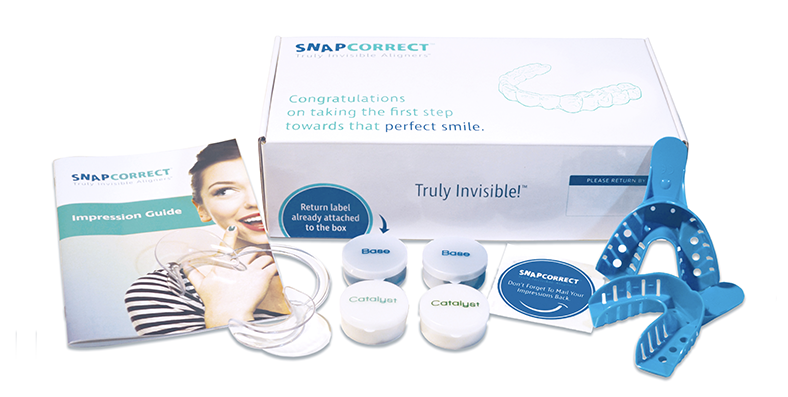 Straighten your teeth with our custom made, Truly Invisible Aligners™ shipped to your door. No office visits required and a price up to 70% less than traditional braces or Invisalign™! 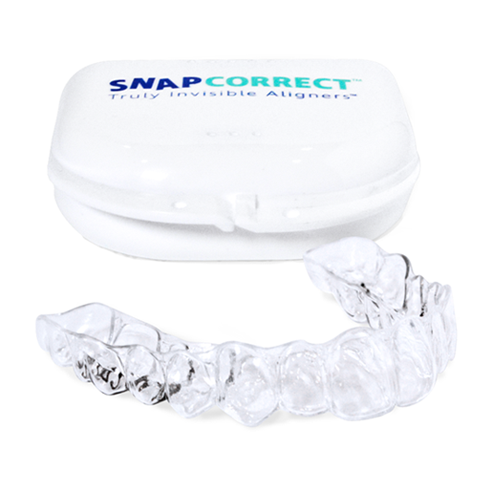 SnapCorrect™ aligners are the clearest in the industry, so people will notice your straight teeth, not your aligners. 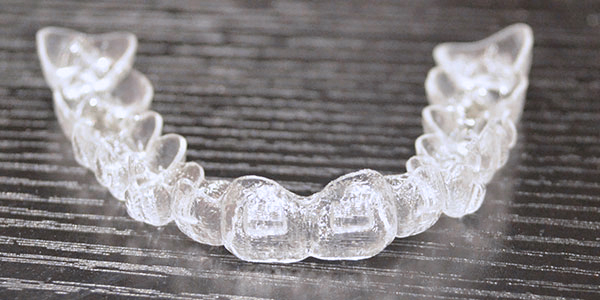 This is why we call them Truly Invisible Aligners™. We understand that taking the first step towards a new smile can be a little intimidating. That is why we take the worry out with our no-risk guarantee. After you send your Impression Kit back to us, our trained professional dental technicians will deteremine if aligner treatment is right for you. 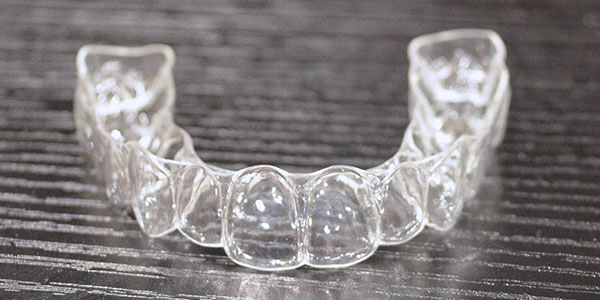 If it turns out that aligners will not work for you, we will offer you a full refund on the impression kit.